COLUMBUS, Ohio – Nearly two in three (63 percent) future retirees admit they are not confident in their knowledge of Social Security – and it shows. A quarter of U.S. adults (27 percent) in retirement say their Social Security payment is less than expected, and one in four (26 percent) future retirees believe they can live comfortably in retirement on Social Security alone. The fifth annual survey from the Nationwide Retirement Institute®, conducted online by The Harris Poll among 1,013 U.S. adults ages 50 or older who are retired, or plan to retire in the next 10 years, finds that over half (55 percent) say Social Security will be their main source of retirement income, followed far behind by just 18 percent of older adults relying on their pension. 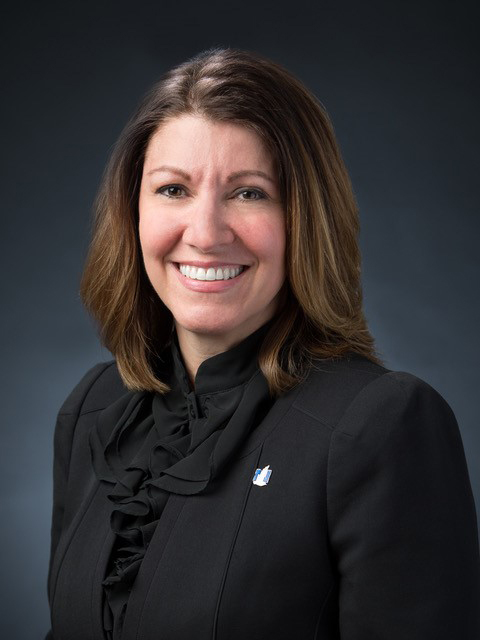 Do you have a Social Security plan in place? 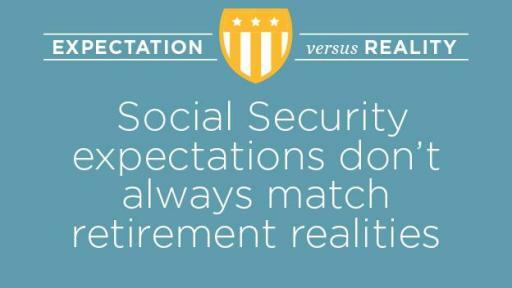 Future retirees also expect to receive $1,628 on average as a monthly payment from Social Security. However, that’s almost 30 percent more than what current retirees say they collect ($1,257). 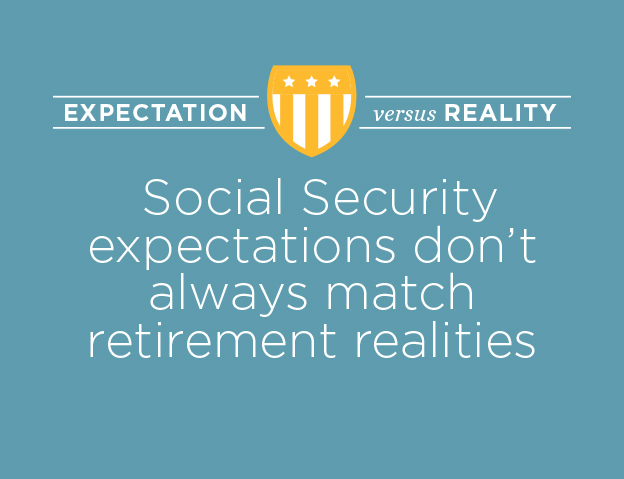 There are also key differences between how future retirees anticipate spending their Social Security compared to how current retirees actually do. 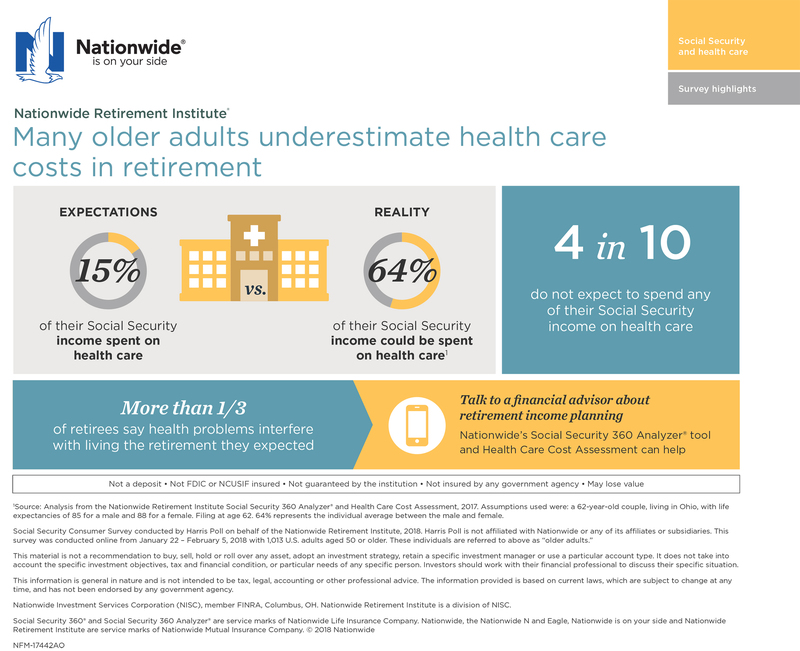 Four in 10 (41 percent) older adults do not expect to spend any of their Social Security income on health care, yet 58 percent of recent retirees report spending their benefit on health care. A third of future retirees plan to draw Social Security early because they do not believe Social Security will be around when they reach their full retirement age. However, retired Americans who decided to draw early report doing so to pay living expenses (52 percent) and to supplement their income (43 percent). Other reasons retirees draw early include being laid off or unemployed (24 percent), having no other source of income (22 percent) and because of health issues (16 percent). Concerningly, nearly nine in 10 (88 percent) older adults don’t know what factors determine the maximum Social Security benefit an individual can receive. 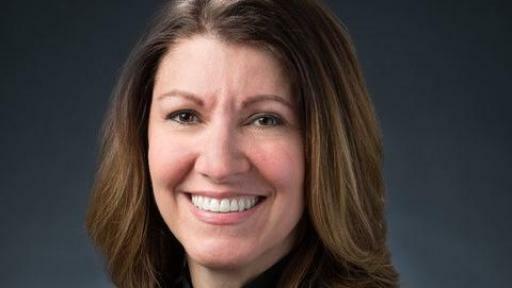 “One of the best ways people can understand what their benefits will cover, and how they can maximize them, is by consulting a professional for advice,” Ambrozy added. 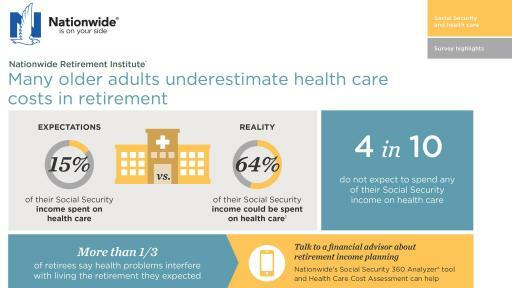 However, only 13 percent of older adults say they have a financial advisor who provides them Social Security advice. It’s not that they don’t want the advice. 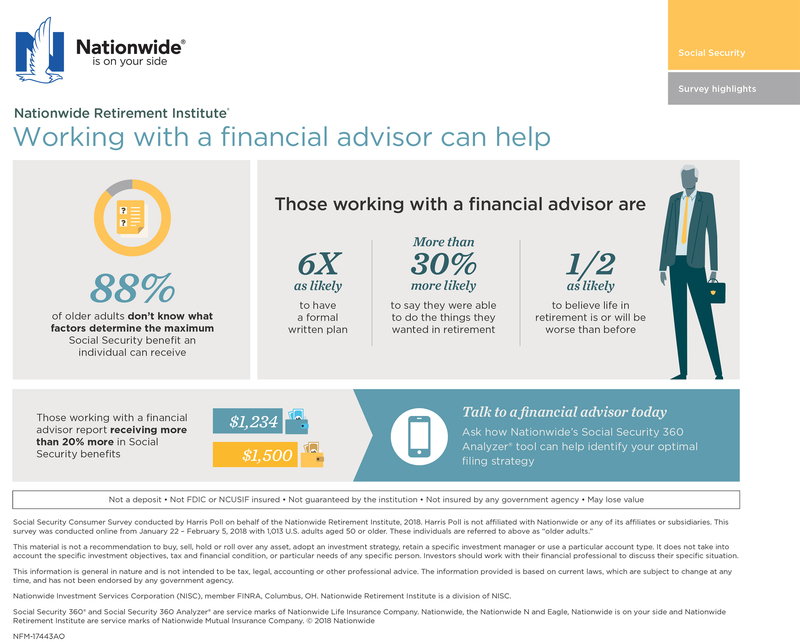 In fact, nearly three in four (72 percent) future retirees currently working with a financial advisor say they would likely switch financial advisors to work with an advisor that can help them maximize their Social Security benefits. It’s easy to see why. Those working with a financial advisor report receiving over 20 percent more in Social Security benefits than those who don’t ($1,500 vs $1,234). 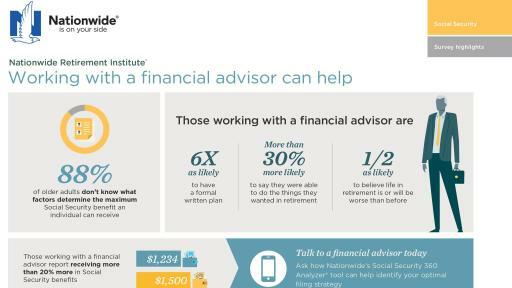 Plus, those working with a financial advisor are much more likely than those not working with an advisor to say they were able to do the things they wanted in retirement (83 percent vs 55 percent). Most current retirees getting Social Security (62 percent of recent retirees and 66 percent of those that have been retired for more than 10 years) relied on the Social Security Administration prior to retiring to identify their maximum monthly benefit. However, Social Security filing strategies are more effective when highly personalized. It’s important to consider working with someone who knows you and your retirement goals. 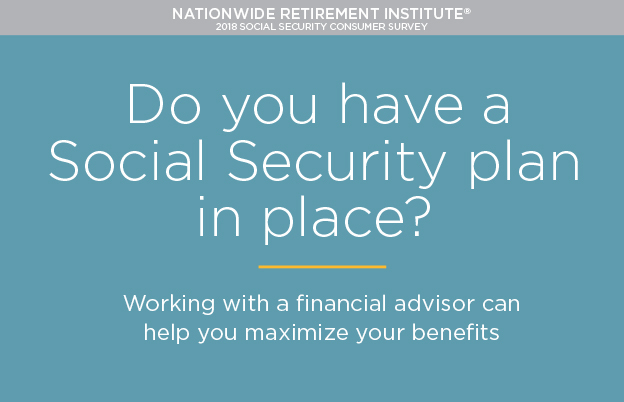 To help advisors start conversations with clients about important claiming decisions, Nationwide’s free Social Security 360 Analyzer® provides a comprehensive look at Social Security filing strategies and helps position Social Security in the context of an individual or family’s retirement income needs. 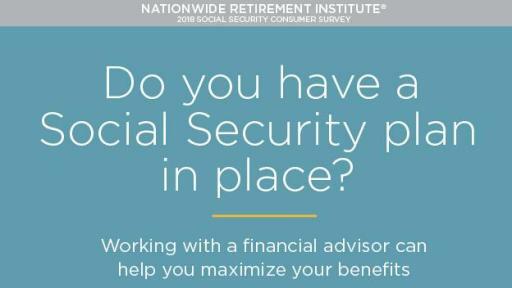 The 2018 Social Security Survey was conducted online by The Harris Poll on behalf of Nationwide from January 22 to February 5, 2018 among 1,013 U.S. adults aged 50 or older who currently collect or plan to collect Social Security benefits, and plan to retire within the next 10 years (“Future Retirees”, n=339), retired within the last 10 years (“Recent Retirees”, n=339), or retired more than 10 years ago (“10+ Retirees”, n=335). Data are weighted where necessary on age by gender, race/ethnicity, region, education, income, size of household, marital status, retirement status, and propensity to be online, to bring them in line with their actual proportions in the population. and has not been endorsed by any government agency.